The art of conversation with your boys! Please don’t be fooled by the title of this blogpost! 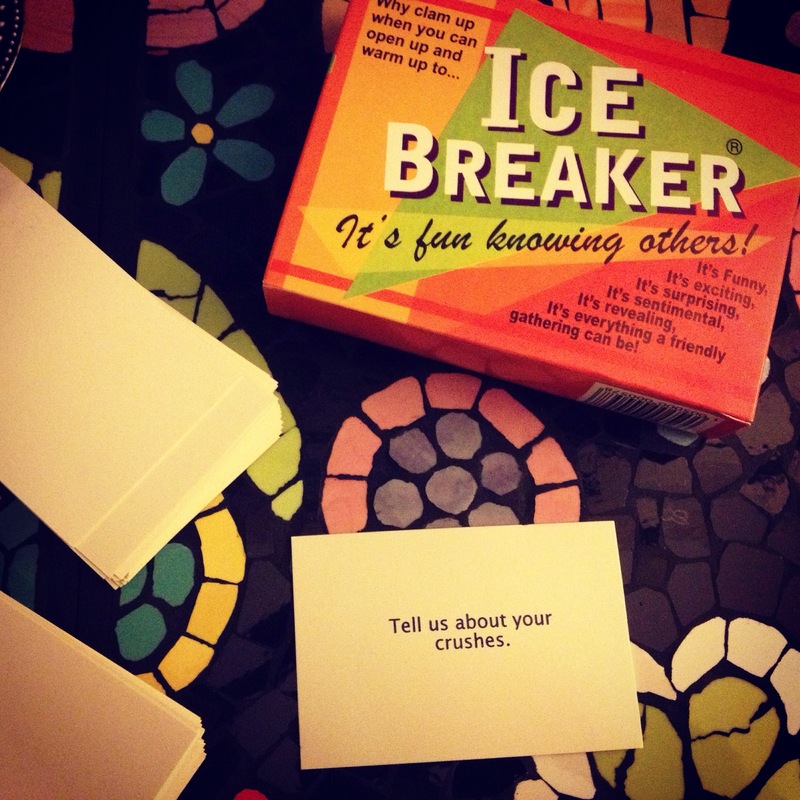 I’m still struggling with the subject with the three boys in my life: hubby, 12 year old J and a 7 year old S.
I bought this pack of ice breaker cards a few days back and what better way than to bond with each other at bed time! So me, J and S, we all sat down. The youngest wanted to go first so he picked up the first card. It read, “tell us about your crushes” J and I burst out laughing, S screamed at us, embarrassed and not very happy at the idea (in retrospect it was very mean of the mom to laugh out loud too). The cards were flying all over my bed by this time, having collected them all, a suspicious 12 year old and a still sobbing/grinning S (yes we can manage both emotions with a 5 second interval) I said hey boys let’s start again – it’s ok if S doesn’t want to answer this question. So we all took our turns, then comes S’s turn once again. He picked up the second card. It said, ‘how do you express your lov…” He stopped reading, threw the card and screamed again, “why am I getting love cards” By this time J was rolling down the bed laughing, I was stifling my laughter (read roars of laughter) I finished the card for S. “It says How do you express your love for God”. Oh come on boys, this is such a lovely question. S refused to answer and so I helped him. I heard myself tell S, “The best way to express our love for God is to thank Him for all his blessings” Ah, this seemed to settle S but he still looked suspiciously at the cards. Soon we all had about 5 turns each! And that’s when I called it a day. As my mom says, better to stop while you are still having fun so you look forward to it next time! S was the first one to protest, he still wanted to play!! I took a photo later, of the first card, which threw us into fits of laughter but also led the way for a great time where me and the boys had so much fun sharing our fun facts! You should try it too sometimes!